New Batch of Pendants & Felt Ornaments! Before showing you my newest creations, I’m excited to say that my Artichoke and Roasted Garlic Bread won in the bread category of the Virtual Vegan Potluck! Thank you all for your votes and congratulations to the other winners! I recently made up a new batch of pendants and wanted to share some new photos with you. 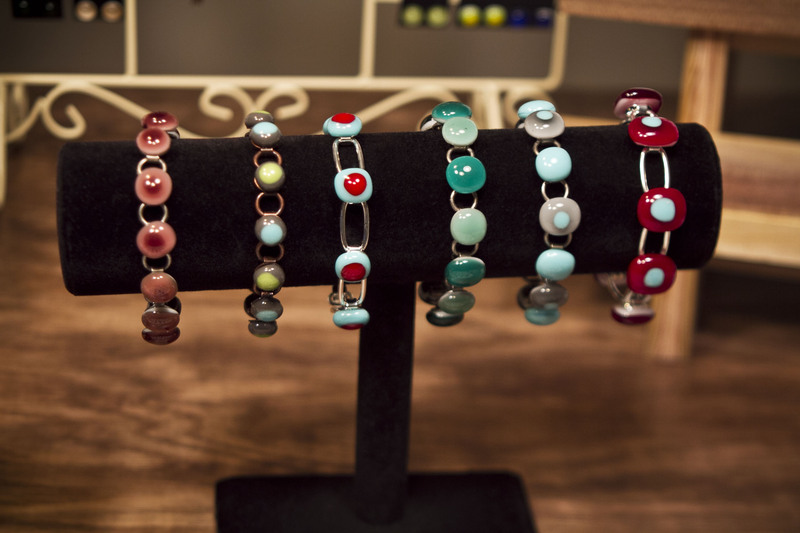 If you’re looking for a unique gift for the holidays, a handmade pendant, a pair or earrings, or a bracelet might be the perfect thing! Though I have quite a few pendants made up, my inventory varies as they are sold since each pendant is one of a kind. It’s hard to keep up with photographing each and every pendant separately, but if you see one that you like in these photos, let me know and I’d be happy to send you more photos of that particular pendant. 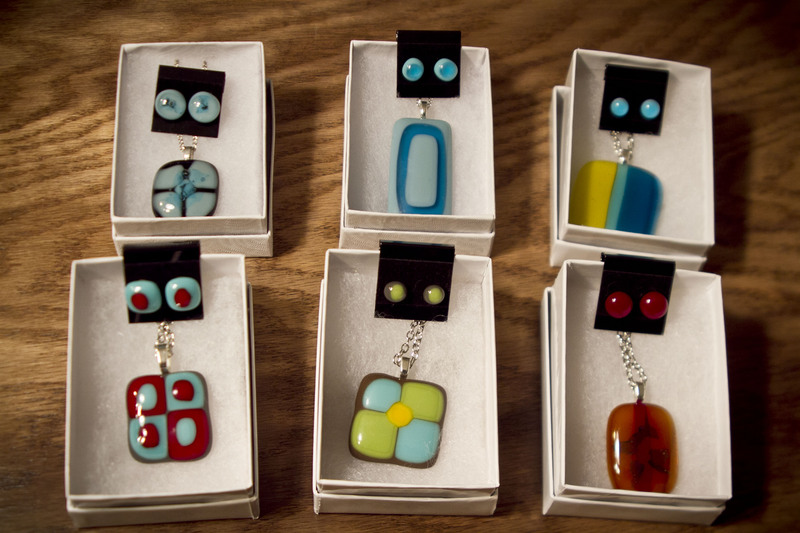 Many of the pendants can be paired with matching earrings or a bracelet, which makes a nice gift set! I also have others listed on Etsy in my shop, The Creative Kat. 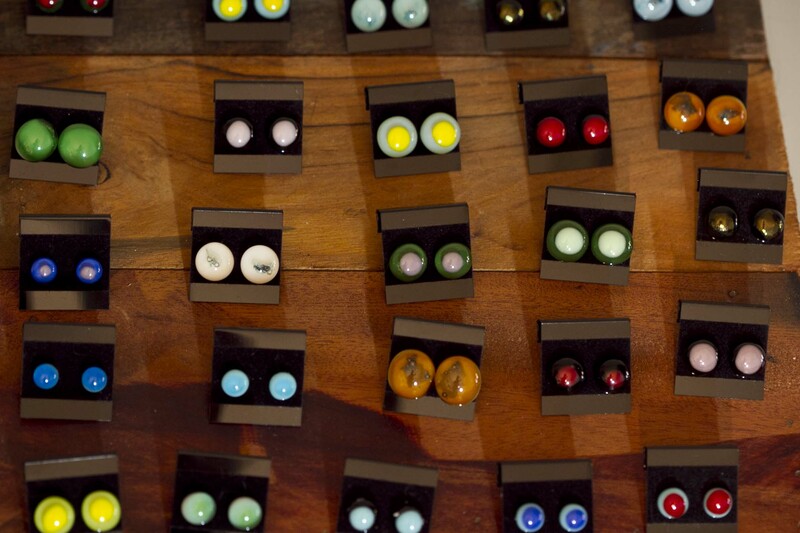 Each pendant, bracelet, or pair of earrings comes in a cotton lined jewelry box. 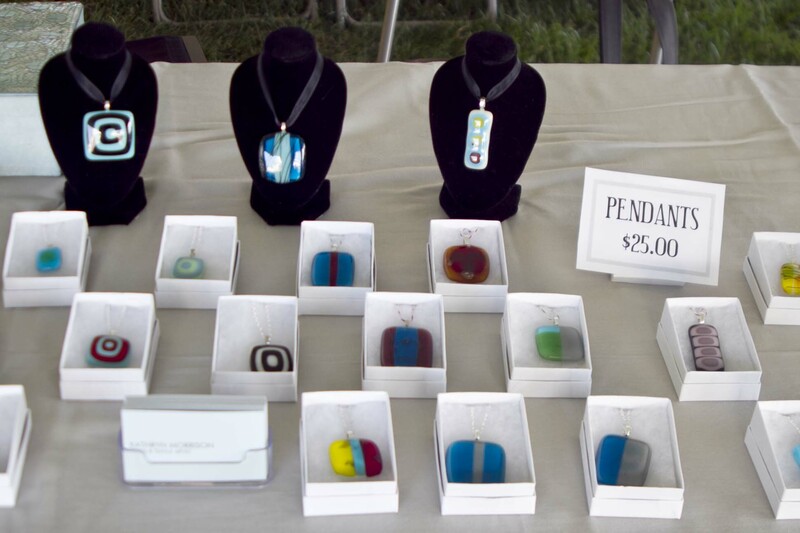 The pendants come on your choice of a chain, cord, or ribbon necklace. Pendants are $20, earrings are $15, and bracelets are $30. If you buy a pendant and earrings together, it’s only $30 for the set, and if you buy a bracelet and earrings together, it’s only $40 for the set. 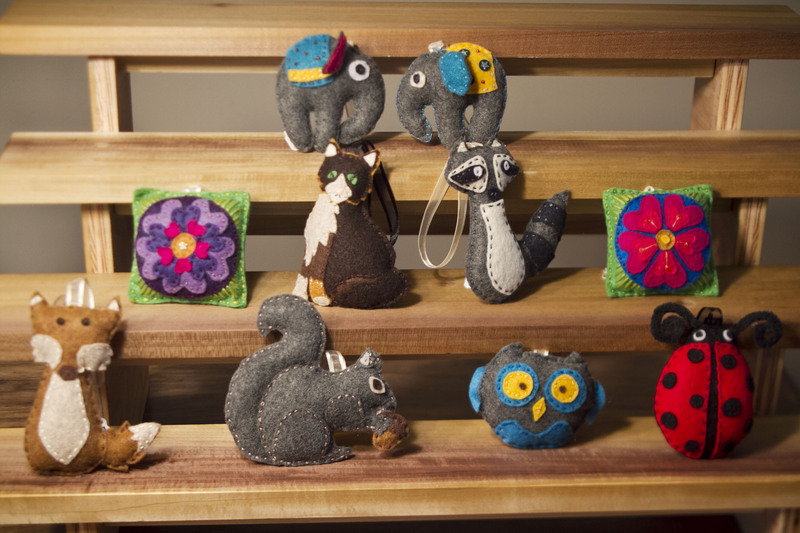 In addition to the fused glass jewelry, I also have adorable hand sewn felt ornaments for sale! They are each $15, however if you are buying multiples I can give you a bit of a discount. If you are interested in purchasing an ornament, let me know which style you would like and if you have color preferences – raccoon, fox, owl, elephant, fish, flower, squirrel, ladybug, cat, gnome, or Santa Claus. Certain ornaments pictured are already sold or are for custom orders, but I can make more of these designs upon request. If you’re interesting in purchasing anything or have any questions you can leave me a comment on this post or email me at madebykathryn@gmail.com. Thanks for looking! I hope you are all enjoying the holiday season! 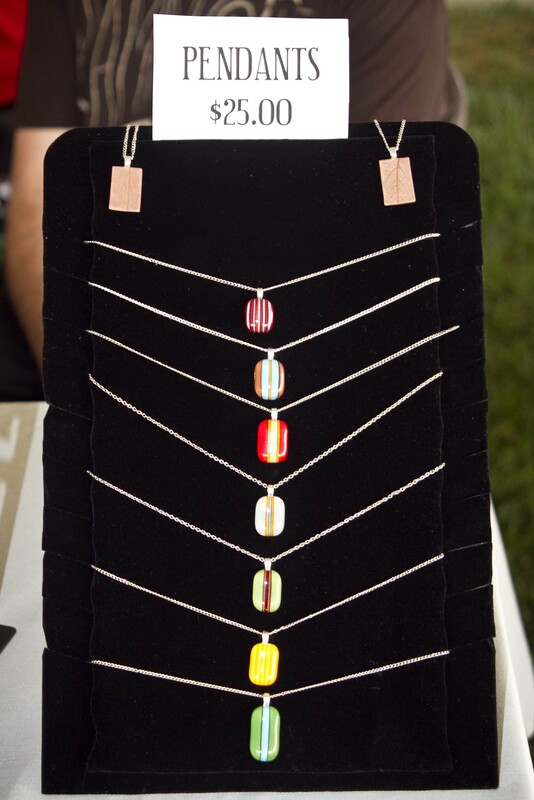 Craft Show Photos and Nectarine Citrus Bean Salad Recipe! 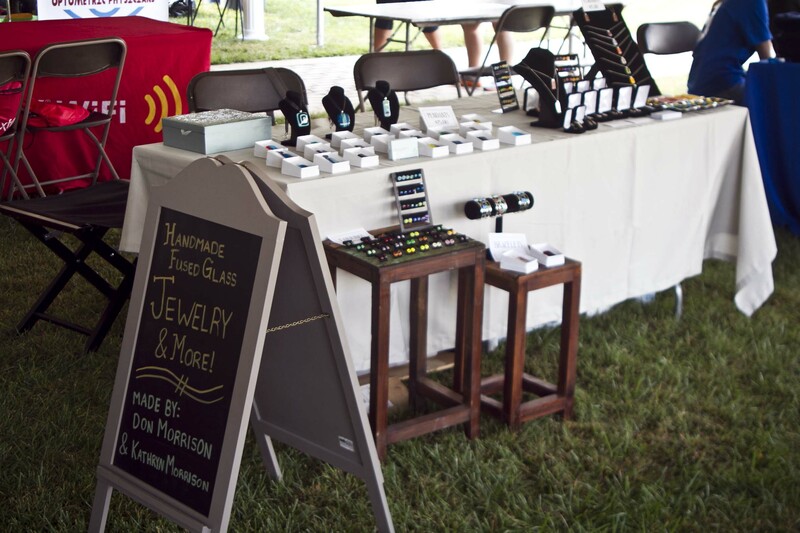 I have a really yummy recipe to share with you, but first… last weekend my brother and I did our first craft fair together, and I wanted to share some photos! It went well and we both sold some of our pendants, earrings, and bracelets. On Saturday, we’ll be at the Hightstown Hometown Harvest Fair, and we have many more shows booked for November and December. I will definitely be busy this fall making pendants, bracelets, and earrings, but it’s a great creative outlet, so I’m happy to be busy! 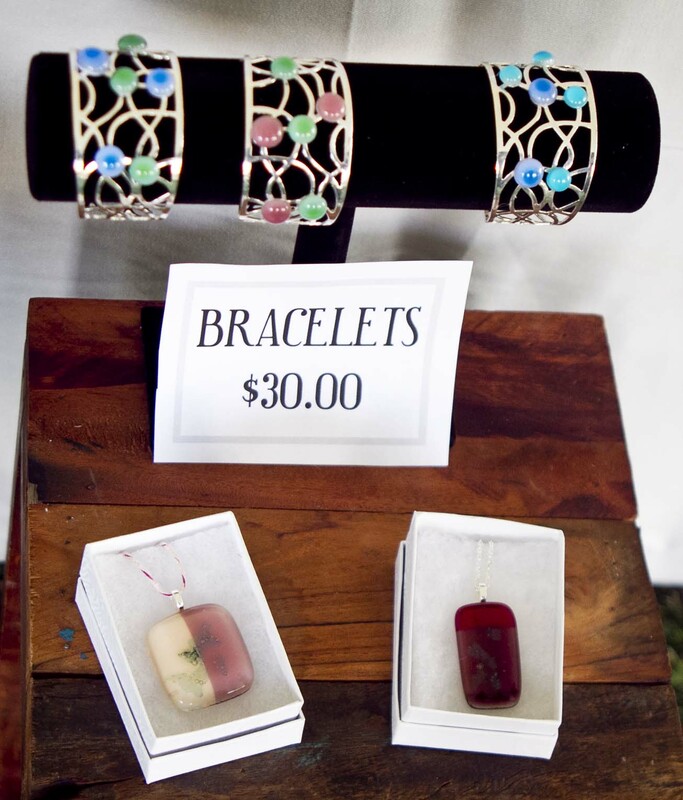 Most of the items we had for sale were fused glass jewelry, but my brother also makes copper clay earrings, fused glass dishes, and enameled jewelry which are all really pretty! You can see how he makes the copper jewelry here. I haven’t tried making those myself, but it looks like a fun process that I would love to try sometime. 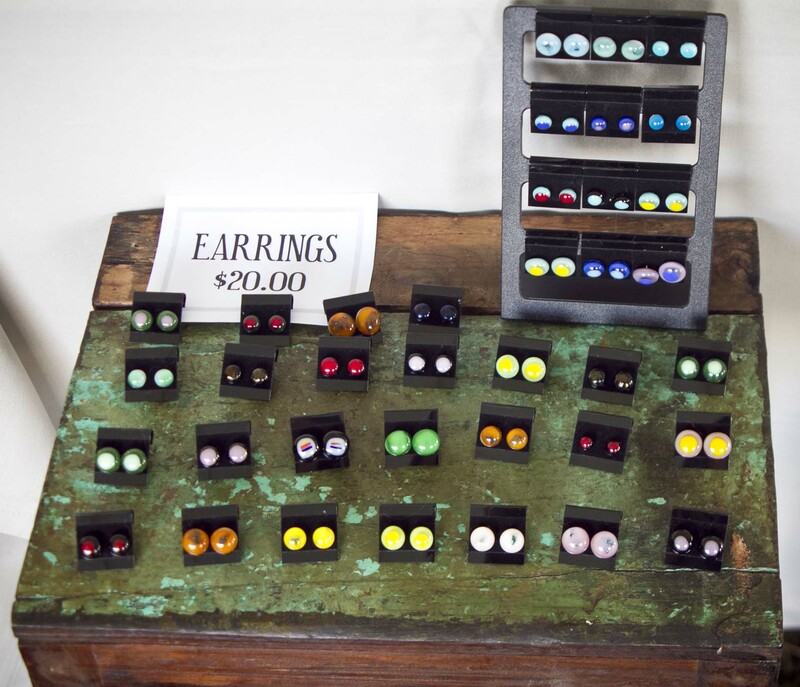 As I mentioned in my last post, if you can’t make it out to one of the shows, but are still interested in purchasing jewelry, I do list items on my Etsy shop under the username The Creative Kat. I will continue to add more jewelry, but can’t possibly list everything on Etsy (I make a lot of pendants!). However, if there’s something specific you’re looking for, or even general colors or styles that you’d like to see listed, I would be happy to make pendants in those styles/colors and add those listings for you. And now, on to the recipe! I made this a little while back while nectarines were in season. If you can still find ripe nectarines near you, this is a really yummy and unique take on a bean salad! The addition of nectarine and citrus provides an unexpected, but really flavorful and slightly sweet addition to the typical bean salad. This would be a perfect dish to bring to a pot luck or to make when having friends or family over! 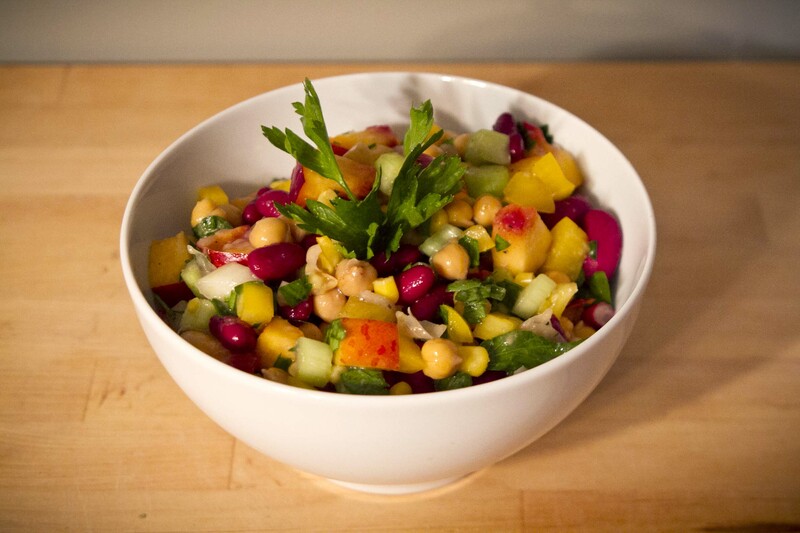 Chop the celery, yellow pepper, nectarine, and cilantro and place them in a mixing bowl. Drain and rinse the kidney beans and chickpeas and add them to the bowl along with the corn. Stir until everything is evenly distributed. Juice the limes and lemon and pour the juice into a separate bowl. Add the mustard, olive oil, salt and pepper, and agave. Whisk up all the dressing ingredients until well combined. Pour the dressing over the other ingredients in the mixing bowl. Toss so everything is coated. Serve cold and enjoy! 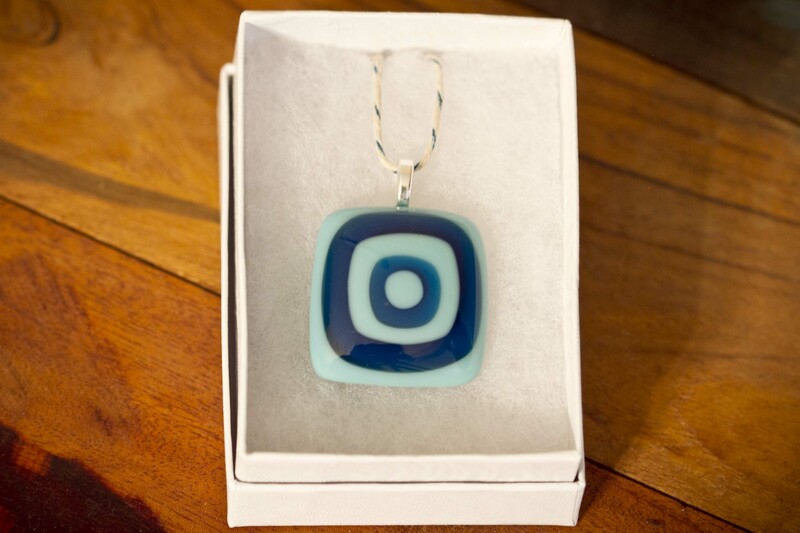 Handmade Fused Glass Pendants – New Etsy Shop! I mentioned in my last post that I’m going to start selling my jewelry at craft shows, and today is my first one! I’m really excited to be starting this adventure at the TCNJ Community Fest in Ewing NJ! 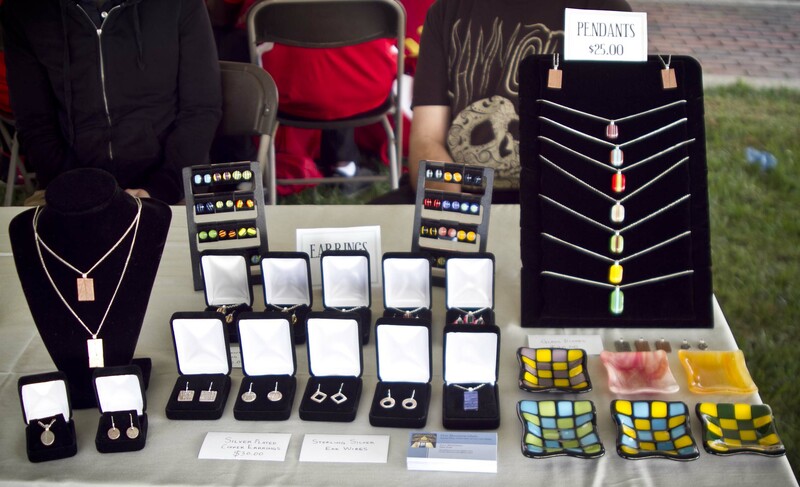 My brother, Don Morrison, and I will be there selling handmade glass jewelry including pendants, earrings, and bracelets. I’m also hoping to sell hand dyed textiles, scarves in particular, but I don’t have them ready for this show. If you happen to be in the area, you should stop by. There are supposed to be quite a few vendors there! My brother and I will also be attending the Hometown Harvest Fair in Hightstown, NJ on October 12 and other craft fairs throughout the fall. If you can’t make it out to a craft fair, I’ve started listing some of my pendants in my Etsy shop. It’s the creative side of The Vegan Kat…The Creative Kat! I have many more pendants than I’m able to list on Etsy, so if you like what you see, but are looking for a certain color or design, let me know. I can post other pendants or earrings based on what you’re interested in. 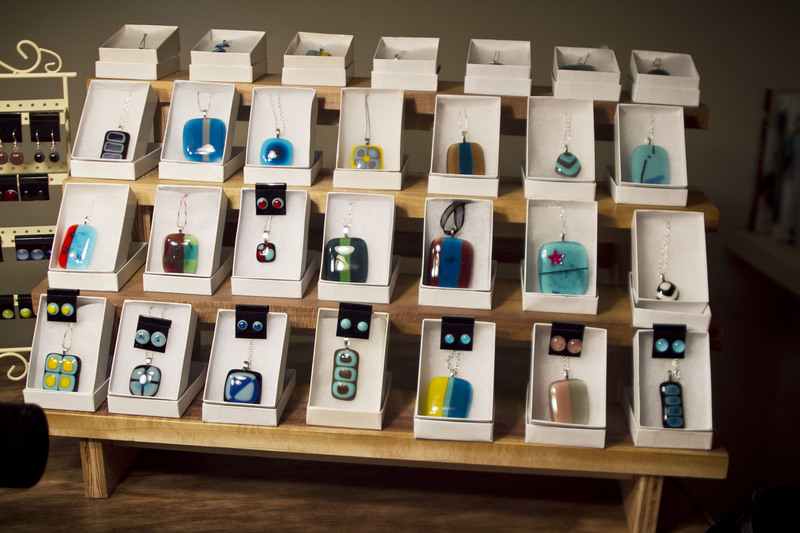 All of these pendants are handmade fused glass. 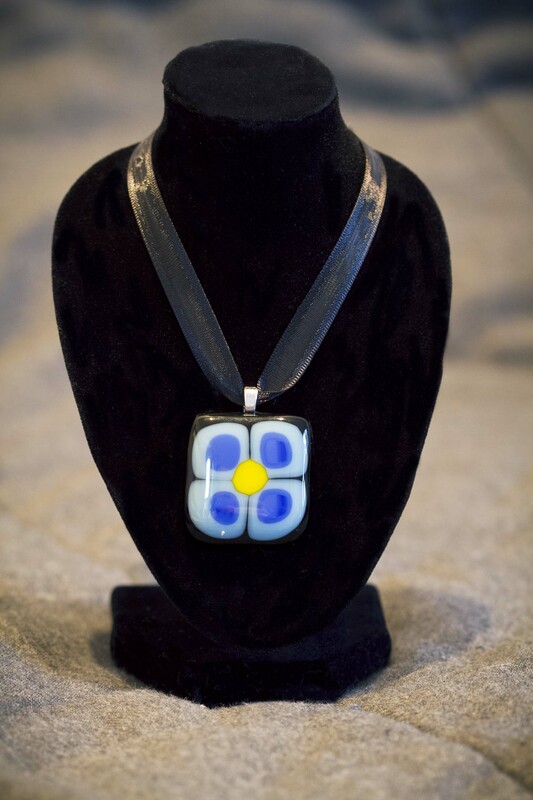 They’re created by cutting out shapes in glass, choosing color combinations, arranging a design, and building up multiple layers of glass. 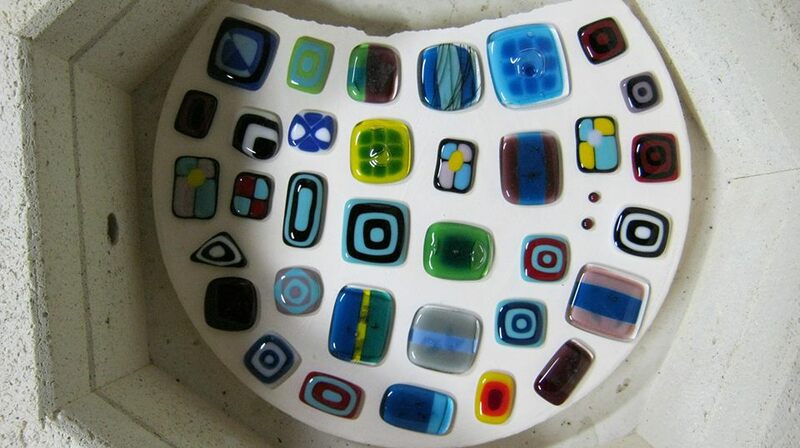 Then the glass gets fused in a kiln and becomes a pendant! I love playing with color and design, so it’s a really fun way to make little pieces of art to share with people! I hope you can stop by a craft fair sometime, or that you’ll check out my Etsy page and share if you like the pendants!